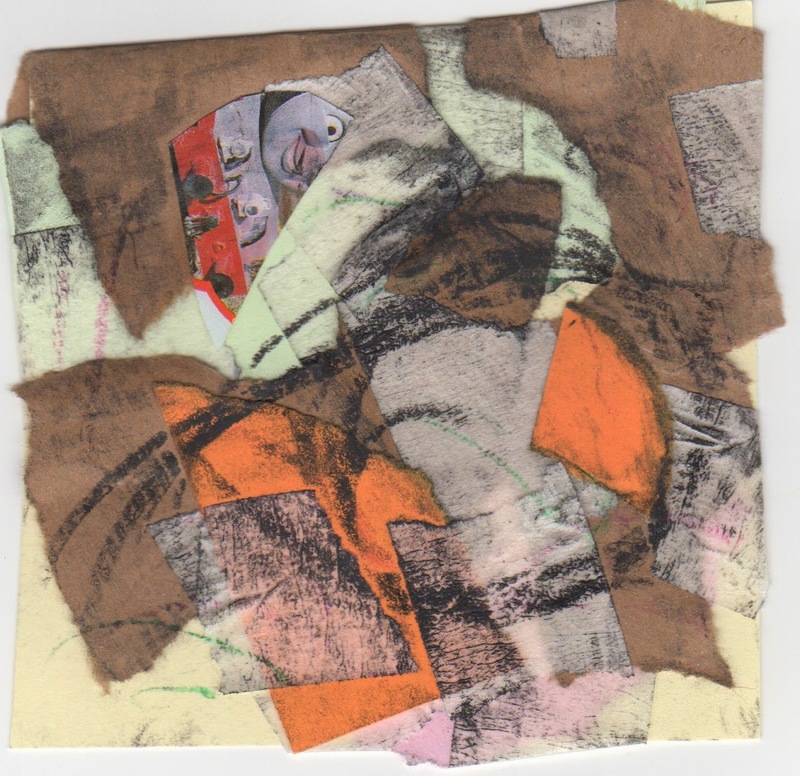 I just about begged for one of Robert Ridley-Shackleton's collages after I saw a piece he'd sent Kat. Luckily he was forthcoming! You can't really tell but this a very haptic piece. It's just under 4 inches square. Robert says he works under the philosophy of his hero Robert Ryman, "It's not what to paint but how to paint". He says that all paintings are a window to a worlds - sometimes similar to ours, sometimes completly alien. Robert rejects making hi art. He loves objects that could be considered trash but that hold a snapshot to a fragile universe.